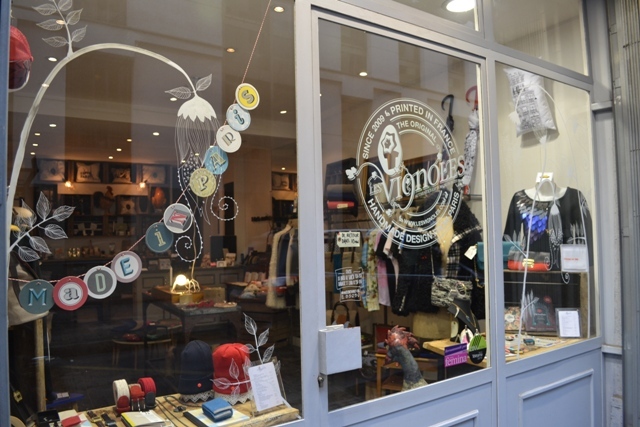 The Marais district in Paris is one of the French capital’s trendiest. Literally translated as ‘the marsh’, the once agricultural area became a firm favourite of the bourgeois in the seventeenth century and many grand palaces and residences were built. However, the Marais went over to the side of the counter-revolutionary conspirators during the revolution it soon declined into squalor. 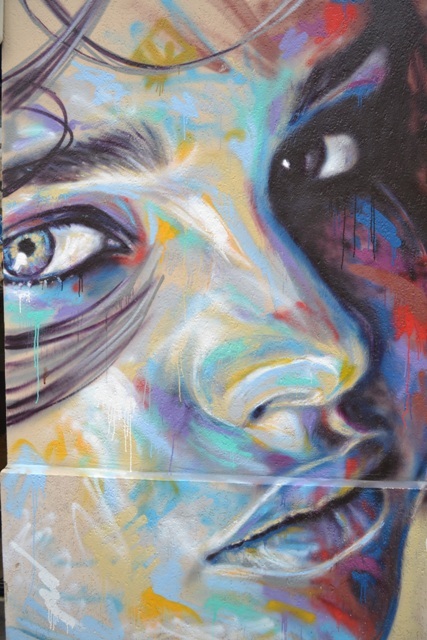 It was regenerated in the 1960s (like in areas in London and New York) and these days it is a hub of activity, becoming the base for artists, students and fashion designers. 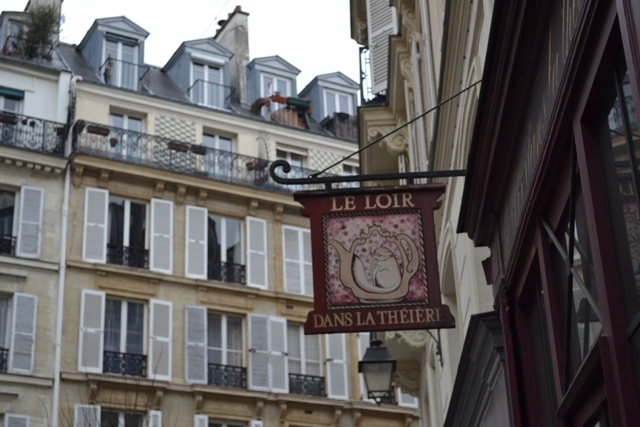 Le Loir dans La Théière is a very popular café on Rue de Rosiers in the heart of the Jewish Quarter. It is based on the dormouse who hides in the teapot in Alice in Wonderland (at the Mad Hatter’s tea party). 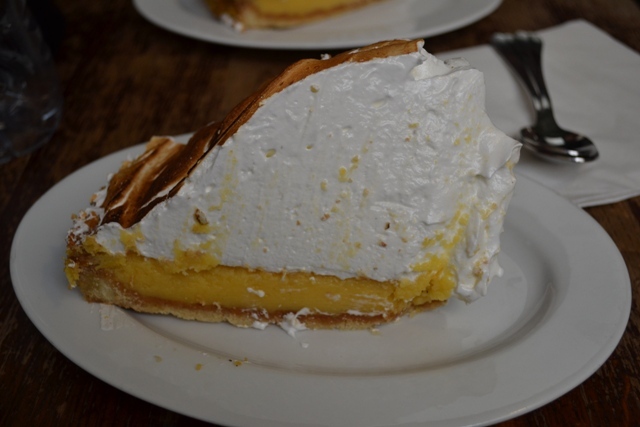 They are famous for their lemon meringue pie – have you ever seen one this big?? (It was delicious!). 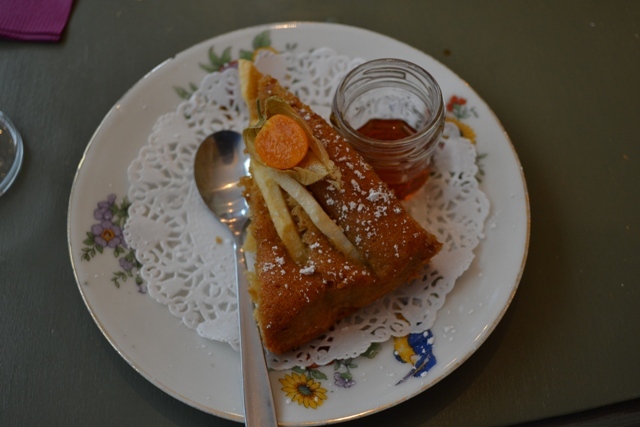 A delicious dessert we had at a café called Marcovaldo, just off Rue de Bretagne. It’s a quirky hideaway that doubles up as a library. Everything is served on cute chintzy china and the food is fresh and tasty. I also enjoyed by cardamom coffee! 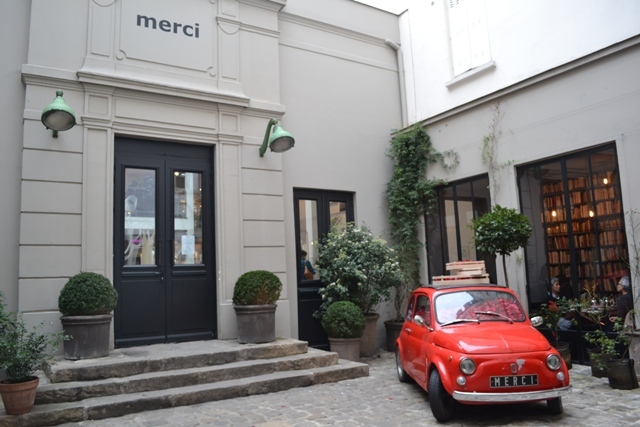 The Marais is famed for its quirky shops and designer boutiques, such as Merci – on Boulevard Beaumarchais. 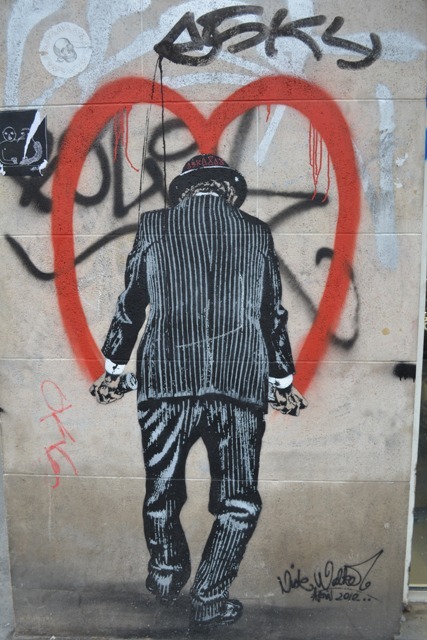 This is one of my favourite parts of Paris – some really lovely pictures of it too! I must find both of those cafes next time I go!